Once you find an item, you can see a full description, the name and profile photo of the seller, and their general location. 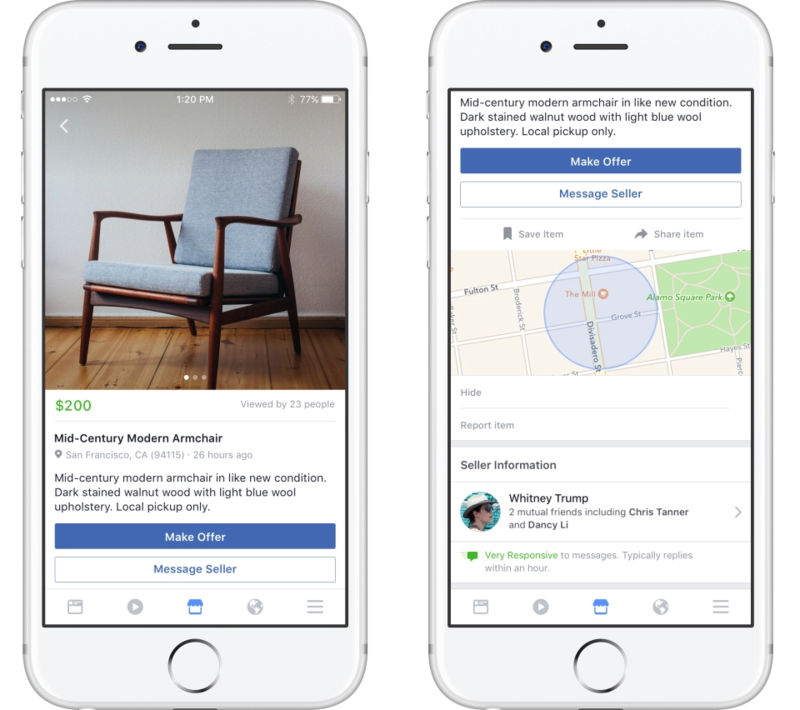 And of course you can message the seller through Facebook to work out the details - although Marketplace does not facilitate payment or delivery of items. Marketplace should now be rolling out to everyone over 18 years old in the United States, UK, Australia, and New Zealand. Keep in mind that this is a server-side update, so if you don't see it right away, just wait a day or two. 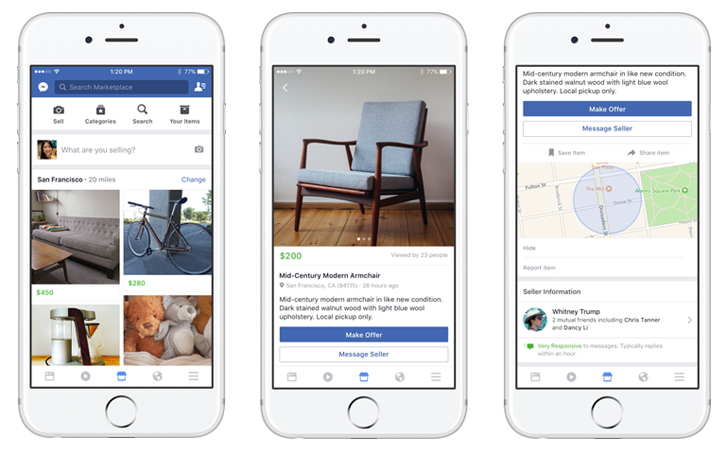 Facebook reports that expansion to more countries and a desktop version of Marketplace will arrive "in the coming months." The screenshots in the post are from Facebook's blog post, hence why they are taken on the iPhone. The feature has not yet rolled out to anyone at Android Police, so we are unable to take our own screenshots.